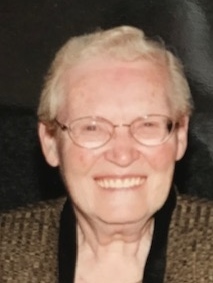 On January 29, 2019 "Sis" Beloved wife of the late Charles F. Marshall; Devoted mother of Bruce Marshall and wife Karen Carroll Marshall; Grandmother of Kevin C. and Brian T. Marshall; Sister of Jerry Matthews and Margaret Porter and the late Charles, Bobby, Wilbur, Tommy and Stanley Matthews and Helen Smith and Liz Birely. Visit Gonce Funeral Service P.A. 4001 Ritchie Highway Friday 3 to 5 and 7 to 9 P.M. Service Saturday 10:00 A.M. Interment Cedar Hill Cemetery. Contributions may be made to Mercy Medical Center.